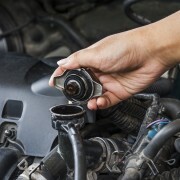 If you're having trouble starting your car, it may be due problems with your spark plugs or ignition wires. 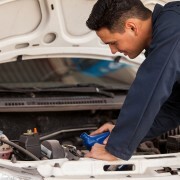 Here are six tell-tale signs you need to get to a mechanic as quickly as possible. Your vehicle’s plugs, wires and other high-voltage components help provide the spark that causes internal combustion in your car’s engine. The wires transmit electricity from the ignition coil (or distributor) to the plugs. In turn, that causes them to spark, igniting the fuel and oxygen mix and driving the pistons. The pistons provide the power necessary to turn the wheels and move the vehicle. 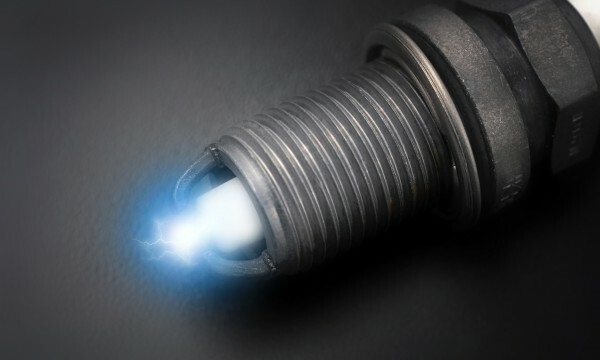 Over time unburnt gases and oil create a buildup of carbon residue on your car’s spark plugs, which can lessen the performance of your vehicle’s engine and make a cold start more difficult. Spark plugs typically have a life expectancy of about 45,000 kilometres. Ignition wires can last twice as long. Like other parts of your car, these numbers vary depending on how you drive and how well the spark plugs and ignition wires are looked after. It’s a good idea to have them checked, cleaned or changed as necessary, as part of a regularly scheduled maintenance plan for your car. 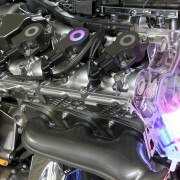 The sound of your car’s engine should be constant and smooth. If your vehicle’s engine is making more noise than usual, have it checked out by a certified mechanic. 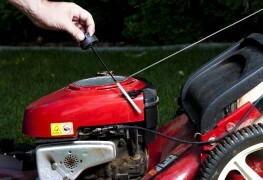 Dirty spark plugs and damaged wires make it difficult or impossible to deliver the spark needed to start the engine. They can even drain power from your battery. If your car is difficult to start in the morning have your plugs and wires checked by a qualified mechanic. Built-up carbon deposits on your car’s spark plugs can cause one or more cylinders to misfire, resulting in poor performance. Power surges and hesitation are signs your car’s engine is working inefficiently. It can be quite dangerous if they occur while you are in traffic. If you experience this, have your vehicle checked by a professional mechanic right away. Worn, deteriorated spark plugs can decrease fuel economy by as much as 30 per cent. If you notice you’re filling the gas tank more often than usual, you might need new spark plugs. 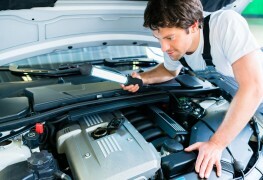 A sluggish engine can usually be easily fixed with the installation of fresh spark plugs. Whether your ride is older or nearly new, caring for your car by ensuring you regularly check the oil and visually inspect the major engine components – like the spark plugs and ignition wires - each month can help prolong the life of your vehicle and save you money in the long run.